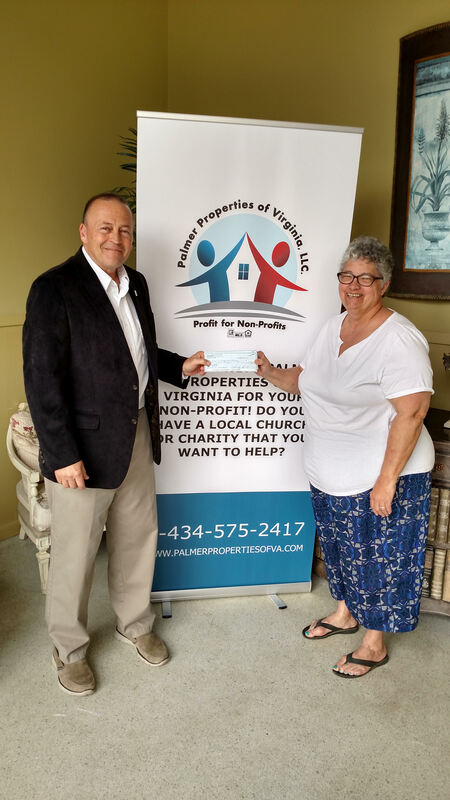 Palmer Properties Profit for Non-Profits | PALMER PROPERTIES OF VIRGINIA LLC (434)575-2417 - We specialize in RESIDENTIAL, FARMS, BUILDING LOTS, ACREAGE AND COMMERCIAL properties in SOUTH BOSTON/HALIFAX COUNTY, CLARKSVILLE/MECKLENBURG COUNTY, DANVILLE AND SURROUNDING AREAS. Agent Lucky Palmer helped Bruce Elliot sell some land. 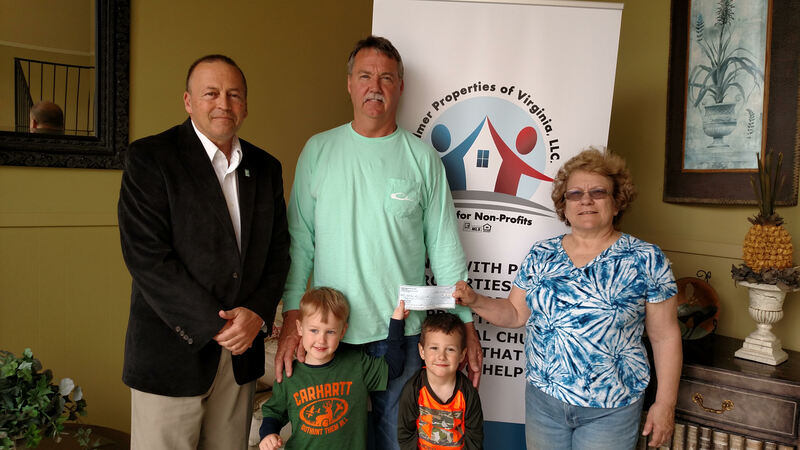 Bruce and his grandsons Brody, Branson chose to donate to the Halifax County Dog Squad represented by Vickie Allen. 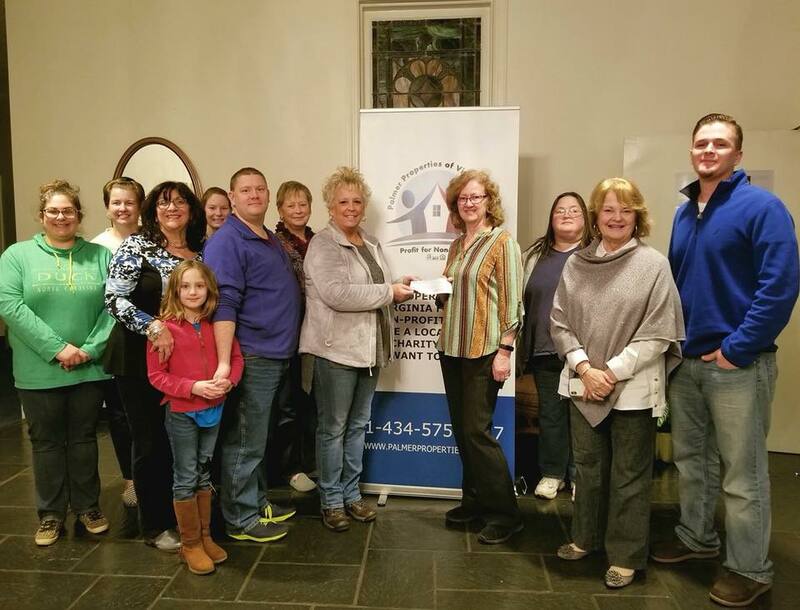 Christie Epps sold some land with the help of agent Bradley Palmer,and decided to have her donation go to The Jane Jones Food Pantry, represented by chairman David Lawson. Bonita Nelson with Do Something received a donation from a buyer Ricky Nelson who worked with agent Lucky Palmer. Bonita Nelson also received a donation on behalf of the Serving Hope Food Pantry from a buyer Ivan Mast who also worked with agent Lucky Palmer.